We’d love your help. 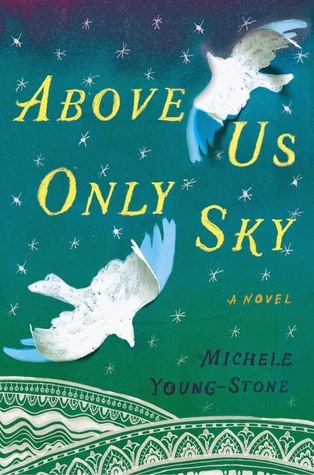 Let us know what’s wrong with this preview of Above Us Only Sky by Michele Young-Stone. From the author of The Handbook for Lightning Strike Survivors, which Library Journal called, “ripe for Oprah or fans of Elizabeth Berg or Anne Tyler,” comes a magical novel about a family of women separated by oceans, generations, and war, but connected by something much greater—the gift of wings. On March 29, 1973, Prudence Eleanor Vilkas was born with a pair of wings mol From the author of The Handbook for Lightning Strike Survivors, which Library Journal called, “ripe for Oprah or fans of Elizabeth Berg or Anne Tyler,” comes a magical novel about a family of women separated by oceans, generations, and war, but connected by something much greater—the gift of wings. On March 29, 1973, Prudence Eleanor Vilkas was born with a pair of wings molded to her back. Considered a birth defect, her wings were surgically removed, leaving only the ghost of them behind. At fifteen years old, confused and unmoored, Prudence meets her long-estranged Lithuanian grandfather and discovers a miraculous lineage beating and pulsing with past Lithuanian bird-women, storytellers with wings dragging the dirt, survivors perched on radio towers, lovers lit up like fireworks, and heroes disguised as everyday men and women. Prudence sets forth on a quest to discover her ancestors, to grapple with wings that only one other person can see, and ultimately, to find out where she belongs. To ask other readers questions about Above Us Only Sky, please sign up. History. Heartwarming. Families separated by oceans, wars, and generations. These are words that would typically make me think “Nope! Not for me!” as I much prefer my fiction placed firmly in the present, and filled with numerous psychological horrors. But this story about a girl born with wings, and the generations that came before her, mesmerized me with its mix of magical realism, storytelling, and survival. Love love love. Sometimes when you finish a book you know you loved it but yet you can't fully explain why. Above Us Only Sky relates the histories of women throughout the generations of one family who are all born with wings but focuses primarily on one, on a girl called Prudence. When she is born the doctor apologises for this "defect"... This aberration from the ordinary. And at a few months old her "bifurcated protrusions" were incised. The story then begs the question do we carry with us the ghost of who w Sometimes when you finish a book you know you loved it but yet you can't fully explain why. 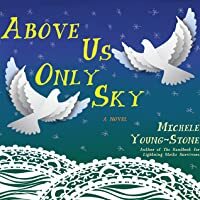 Above Us Only Sky relates the histories of women throughout the generations of one family who are all born with wings but focuses primarily on one, on a girl called Prudence. When she is born the doctor apologises for this "defect"... This aberration from the ordinary. And at a few months old her "bifurcated protrusions" were incised. The story then begs the question do we carry with us the ghost of who we were born to be as Prudence looks to her past to discover who she truly is. The book opens with this wonderful quote by J.M. Barrie, "The reason birds can fly and we can't is simply because they have perfect faith, for to have faith is to have wings". At its heart this is a story about faith in the great unknown and about who we are as people. It is about our histories and how these experiences mould us into people. About family, about nationality, about war, about pain, about suffering and about love. "I felt guilty because I was upset by the loss of one friend when the Old Man had lost nearly everyone he loved. Loss, I soon learned from him, is not measured in numbers. It's not comparative. It's in here (I'm touching my chest now)"
For me this was a book about Prudence's journey to adulthood rather than the ultimate destination. It was an adult coming of age story. Different chapters could follow different characters relating to Prudence (a grandfather, an aunt, a friend etc etc) yet all were interconnected with this one story of personal identity and longing for the quiet of home. It was stunningly written and quietly moving. Prudence's paternal family were of Lithuanian and German heritage and their story through the horrors of 19th century Eastern European uprisings/wars and beyond provided much of the backdrop of the book. This wasn't some light, whimsical read but packed a weighty emotional punch as all manner of wartime hardships were laid bare at the reader's feet. It was such a quiet book though... How a book could be both weighty and ethereal at the same time baffles me. "You are with the birds. Soaring. Flying. Don't worry about what used to be. If you lose something, you let it go." I know I have failed miserably at reviewing this book in a remotely coherent manner. I do know this is not a book for everyone. It's a quiet book for those who prefer the journey to the destination. It's a book for those who can close their eyes and take that leap of faith into the unknown. A book for those who find hope in the pain of the past. A book for those whose lives have been touched by sorrow but still strive for better. I'm still not entirely sure what I read but I know that this book has made my heart feel like it has wings to soar up above us into the sky. Prudence was born with wings (surgically removed at birth). Many threads and characters that all come together at the end.., with a touch of magic added to the story... I really enjoyed it. Oh so good. I picked this arc up hoping it would be the sort of magical realism that would fill the reader up and it does. So many emotions between the pages of this beautiful story about a young girl, Prudence Vilkas, who is born with wings just like her paternal great Aunt. Her parents have them removed, but the wings have a way of showing themselves to a certain boy with a special sight. The wings themselves, or scars of them, will bring to life the story of her estranged Lithuanian paternal Oh so good. I picked this arc up hoping it would be the sort of magical realism that would fill the reader up and it does. So many emotions between the pages of this beautiful story about a young girl, Prudence Vilkas, who is born with wings just like her paternal great Aunt. Her parents have them removed, but the wings have a way of showing themselves to a certain boy with a special sight. The wings themselves, or scars of them, will bring to life the story of her estranged Lithuanian paternal Grandfather, Frederick. This isn't light and sweet, as the reader is buried in the brutal suffering of her ancestors during the occupation. 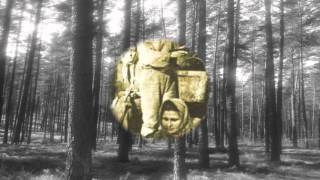 Having my own father and grandparents escaping Hungary during the Russian occupation there, I could relate to the sorrows. From Soviets to Nazis, where is the lesser of two evils for those deemed inferior? This story is so tender and full of loss, particularly the distance her grandfather feels towards his own son, spoiled in the ways only American freedoms can afford the children of immigrants. But the young can only live their own story, and while tragedy can cling to a family and cause rifts, too it can bring them back together. Prudence's mother leaves her father, never having felt first in his life as music is his love. Family is no longer the three of them, and now Prudence is adrift longing for the warmth and love, wondering why her mother couldn't just be happy loving. A boy will change her life, the only person who sees the wings that were removed long ago, but he too may drift away from her. Little does she know, fate is going to bring her grandfather into her life, a man she will come to love deeply. The story expresses how with each loss, it is replaced by other love, and some people are never entirely lost to us in the end. The tragic truths that Frederick has known about his murdered family are about to change when he demands a chance to know his grandchild, in spite of what his own son and the child's mother wants. Family is what matters! Wow! I am just going to say it - I love this book and it may be one of my favorite books in a long while! What an amazing story! I could not put it down! This is a beautiful book about a girl born with wings (but has them removed) and tells the story of her family, including an aunt who also had wings. This is a novel about family, identity, and loss. It also tells a story about Lithuania that really resonated with me and made the story all the more captivating! I was so taken with this story an Wow! I am just going to say it - I love this book and it may be one of my favorite books in a long while! What an amazing story! I could not put it down! I was so taken with this story and the characters. I truly didn't want to stop reading - it was one of those books I wish was 300 MORE pages because I hated to say goodbye to it. Such a well written novel with a current and historical story to tell. I almost don't want to say anything more beyond - in March 2015, get your hands on this book and fall in love! I highly recommend it to all! An incredibly beautiful and creative story spanning four generations. Lithuania and its difficult history are in part the center of this story. Prudence is another part of the central story. Prudence Vilkas is born with wings! Her doctor and parents see them as an aberration, and are scheduled for removal at five months. Father Freddie, gives his daughter Prudence a pet name "little bird" and he loves her. But his first love is not his wife or daughter but music. Steping back in the past... We see An incredibly beautiful and creative story spanning four generations. Lithuania and its difficult history are in part the center of this story. Prudence is another part of the central story. Prudence Vilkas is born with wings! Steping back in the past... We see Freddie's father, "the old man" constantly telling young Frederick (his only son) the stories. These stories of Lithuania, and his family must be kept alive. His family and the love for his beautiful Lithuania, where they come from is the legacy he needs most to pass on. Freddie leaves his home, father and mother, and a difficult relationship with his "old man". Walking out, he sets out to become a musician and turns his back on his father and his stories. Freddie doesn't understand his fathers need to remember. His terrible memories of Lithuania being overrun, and the stories of the Russians killing his family. Freddie, is not so surprised when one day his wife decides to leave him and take his "little bird" with her. After all his music always came first. Prudence is hauled off to Florida where her mother begins a new life, She feels lost and alone as a child, until she meets Wheaton Jones. Wheaton is a strange boy who sees things. And he can see her wings. The old man feels a need to meet this only granddaughter before he dies. To tell her of Lithuania, and where she comes from. This startling determination brings all three generations together for the first time. And here is where this story becomes a beautiful unraveling of the past. And also a wonderful emotional, and deeply satisfying journey moving forward. I cannot reveal the rest or ruin it for the reader! I liked it- don't get me wrong. This is a book about a girl who was born with wings and had them cut off, and now she has remaining scars on her back. Her grandfather comes to visit her and tells her about her family's lineage. It goes through a number of perspectives including those of her family members. Character: There were so many characters in this book it was hard to keep track. I was always going back to the front of the book to see who that person was and who that person was marrying or whatever. Even though it was told through many character's p.o.vs, I will say that the main character, Prudence, was sort of boring. It was interesting to hear about her wings and all, but I feel like we never got too far deep into her life and what she felt about her wings being cut off. I would've liked a little more detail in that category. She was just sort of a dull person to read about. Her grandfather wasn't much more interesting either. Neither were the rest of the people. Characters in this were the hardest thing about this book. Plot: Let's just say that this book didn't have much plot. This wasn't the problem though. It was sort of a jumble of different situations, misfortunes, joyous happenings, and random occurrences. The characters really affected the plot. Writing: The writing didn't blow me away, but it wasn't bad at all. It just was a little slow with pacing. It made everything seem like it was being read through my head in monotone. After awhile, the words started to blend together, and I had just felt heavy when I finished it. Not only is it a joy to see such a talented author from Richmond (now transplanted to the Outer Banks) become such a success with her first book-The Handbook for Lightning Strike Survivors, seeing her second book take off is a thrill. The unique characters in this book drew me in immediately--I've never read about a winged girl and the Old Man was endearing--and as a lover of historical fiction, the Lithuanian backdrop was fascinating. Unique and endearing, I would recommend this to any book lover Not only is it a joy to see such a talented author from Richmond (now transplanted to the Outer Banks) become such a success with her first book-The Handbook for Lightning Strike Survivors, seeing her second book take off is a thrill. So emotional. Every nerve in my body is pulsating. This author knows how to paint the picture of emotion and beauty. The book is also educational -- I knew little before about the plight of Lithuania, and will seek out more for sure. The novel is caring and careful and imaginative and fulsome. I loved it. Loved, loved, loved it. I also loved Cassandra Campbell's narration (I listened to audio). She's always absolutely fantastic, but in this book she showed off her very best. 100% exceptional exp So emotional. Every nerve in my body is pulsating. Stunning, spellbinding, gorgeous, enveloping - all that. Also, many many Feelings. When Prudence is born, she is born with a pair of wings on her back. Her father is relatively okay with this; however, her mother believes her wings to be a birth defect and has them surgically removed. Come to find out, Prudence is actually descended from it a family who has several women who were born with wings. And this is something to be celebrated! Split between 1863 and the late 1980s and early 1990s, this book has a great deal of magical realism and focuses on both Prudence and the winge When Prudence is born, she is born with a pair of wings on her back. Her father is relatively okay with this; however, her mother believes her wings to be a birth defect and has them surgically removed. Come to find out, Prudence is actually descended from it a family who has several women who were born with wings. And this is something to be celebrated! Split between 1863 and the late 1980s and early 1990s, this book has a great deal of magical realism and focuses on both Prudence and the winged women in her family. I think I've expressed to you all my love of magical realism several times. It's one of my favorite elements of a book, especially when the magic feels as real as it does here. When it's mixed with historical fiction like it is in this book, it's definitely something special. The historical detail in the book is great as well. I loved reading about Prudence's family and how her family coped with the 1863 Russian occupation of Lithuania. This is a time period and an event that I didn't know much about at all and I like the way got the author was able to weave the historical events and with the magical. The story also covers Prudence finding out the secret of her family through her estranged grandfather, who her mother has kept away from her. Her grandfather tells her about the secrets of her family and makes Prudence feel like there might be somewhere where she actually belongs. This story was a little bit on the short side for my liking and I do wish that the author had gone into a little bit more detail about Prudence and what she was thinking about everything that her grandfather was telling her. I would have liked to get a little bit closer to her in that regard. There is a sort of love story in the book between Prudence and a neighborhood boy who has magic of his own that I would have liked more detail about. On reading the description of “a family of women connected by the gift of wings” I presumed this to be a rather magical or paranormal tale, but it isn’t particularly. While the wings are certainly a part of the story and there are some hints at magical elements, these aspects almost feel extraneous – tacked on and, for the most part, unnecessary. At its heart, this is a story about family more than anything else, and the familial link between these women seems more than enough to carry the tale across generations without the added detail of wings. There are some appealing themes explored here – family ties, love of country, the search for belonging, love and loss, regret and resilience – and the history of Lithuania, particularly the wartime perspective, is interesting and well-conveyed. I found the sections chronicling the history of the Old Man, Ingeburg, and Daina the most compelling but was engaged enough overall to keep reading to the end. The novel as a whole felt jumbled, however, and was not as cohesive as I would have liked, leaving me disappointed. I do love the cover though - I only wish I would have loved the book just as much! "It is not easy to feel things, not pain or joy, because pain sits with you, and joy is fleeting, easily swatted like a bee." This book took my heart out of my chest, broke it into a million pieces, and then put it all back together. I would describe it as historical magical realism. It tells a beautiful, sorrowful, epic, multi-generational story from many different points of view. The framework is the story of two women born with wings, Prudence and her paternal aunt Daina. Most of the story is "It is not easy to feel things, not pain or joy, because pain sits with you, and joy is fleeting, easily swatted like a bee." As a lover of historical fiction, I was super excited when hearing that I won an ARC of this book in a contest here on Goodreads. However, I was unable to make it through the first ten pages. There is no striking detail or hook to draw the reader in. The novel jumps into the protagonist's life without giving much detail, character introduction, or valuable diction whatsoever. I had to put it down; there was no way I was getting through it. What an unusual, beautiful book. 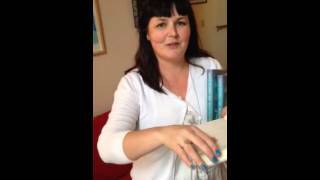 Can't wait till book club tomorrow because the author is coming! Should be very interesting. I've never read about Lithuania before or known what happened there in the last century. Highly recommend this book. One of the most beautifully written stories I've read this year. One of the most beautifully narrated stories I've listened to this year. Absolutely stunning - the characters, their stories - amazing storytelling. Its a bird! It's an angel! It's an elaborate metaphor that can't quite sustain the weight! Certainly for me the whole wing thing was an unnecessary plot device and took away from my complete appreciation of this curious book that attempts to bring together a feel good story about overcoming obstacles and the history of Lithuania. The writing often soars, and MYS has a lovely eye for detail so we do get a good overview as well as an atmospheric sense of place quite hidden from history. My problem perhaps was that it all felt quite contrived, and the tangents that consistently popped up were mostly distracting rather than enriching. I prefer to forget about the author whilst enclosed in the created world. In this case, I couldn't escape the image of the author getting lost in revisions, delineating a fascinating story but not quite connecting the dots. This is a book about the mysterious, the things you know but can't name out loud, and living into those mysteries. It's about stories, about sorrow and how these parts shape us. It's about finding your true self, about knowing when that true self shows itself to you and then grabbing it. I loved it. Can't get into it. Bird people? I dunno. The topic is a heavy one. That speaks for itself. But this story... This is feeling in words. Brilliant and helixed layers of metaphor. Both truth and ambiguity sharing the same sentences. There is so much in these pages. This book was exceptional! The story through the generations of Lithuanian women, struggling to survive and also born with wings was wonderful! Per FTC guidelines: I received this book for review from the publisher and Edelweiss/Above the Treeline. I was not paid for this review; everything I write is completely honest. Above Us Only Sky begins with a girl, Prudence Eleanor Vilkas, born with wings. Her parents, assuming them to be just a birth defect, have them surgically removed. As she grows older, though, she still feels the ghost pair of wings pulsing against her back, and meets a boy who can actually see them. While we follow Prude Per FTC guidelines: I received this book for review from the publisher and Edelweiss/Above the Treeline. I was not paid for this review; everything I write is completely honest. Above Us Only Sky begins with a girl, Prudence Eleanor Vilkas, born with wings. Her parents, assuming them to be just a birth defect, have them surgically removed. As she grows older, though, she still feels the ghost pair of wings pulsing against her back, and meets a boy who can actually see them. While we follow Prudence's story, we also learn the story of her grandfather, who desires to go back to his homeland of Lithuania, where his family was killed during the Russian occupation of World War II. He's extremely nationalistic, and tells (and retells) his stories from Lithuania to everyone. His passion for his homeland is palpable, pulsing from the pages with its own life. The two meet when Prudence is sixteen. From there, she travels back and forth from Florida (and then university) to Lithuania and Germany with her grandparents, learning more about her family's history--her history. The novel flashes back and forth from these moments to Prudence arriving to the hospital to say goodbye to her dying grandfather. The novel is also told from a series of different perspectives and voices. I'll admit, I had pretty high expectations for this novel. The premise reminded me of The Strange and Beautiful Sorrows of Ava Lavender by Leslye Walton (my favourite novel of 2014)--and I recently read Between Shades of Grey, which takes place during the Lithuanian occupation, so my interest was also peaked in that regard. Unfortunately, Above Us Only Sky fell a little short for me. There are moments I enjoyed. The aspect of witnessing and having to survive in order to tell the story is repeated often in World War II literature, both in fiction and nonfiction. I thought Young-Stone handled it well in Above Us Only Sky, and I did feel for the Old Man and Dania. I would have enjoyed this book more if it had been told chronologically, with more time in the past. I thought Young-Stone's writing shined more when she was describing both of those characters than when she was describing any of the other characters. I also enjoyed the magical realist elements of the novel, though they, too, felt underdeveloped. There could have been more atmospheric work done, as well as a bit of clarity when she was trying to describe more magical elements. Some moments (such as the moment with Dania and Prudence) weren't conveyed as strongly as they could have been--I had to reread the passage a couple of times before I could really see what was going on. Critically I'd probably give this novel a 2.5, because I don't think it was necessarily ready to be published. It needed work. However, I enjoyed the history its more lyrical moments. And the Old Man's struggle to re-find home is one that resonates with me. That part of the plot convinced me to give this a 3. I'd recommend it to those who enjoy historical fiction, particularly during World War II. While it sometimes seemed sentimental, it never felt fake. Above Us Only Sky comes out 3 March 2015. This is the kind of book that makes an aspiring author want to give up her craft, because she knows she can never achieve a story so rich with character and emotion and history. In my challenge to read 30 Before 30, I have been flying through books, eating them for breakfast. But this one I had to slow down for, to savor. Initially drawn to what I thought was a novel of magical realism -- a story of a girl born with wings and a boy with gifted vision to see them despite her scars that prove they This is the kind of book that makes an aspiring author want to give up her craft, because she knows she can never achieve a story so rich with character and emotion and history. In my challenge to read 30 Before 30, I have been flying through books, eating them for breakfast. But this one I had to slow down for, to savor. Initially drawn to what I thought was a novel of magical realism -- a story of a girl born with wings and a boy with gifted vision to see them despite her scars that prove they're gone -- I got much more than I bargained for as I was drawn into the rich history of the Vilkas family. The Old Man took over the story, eager to share memories of his family and Lithuania before, during, and after WWII. Drawn into his world of foriegn occupation by first the Soviets, then the Nazis, then again the Soviets, I felt so small in my contempory American life. I rejoiced with The Old Man as he returned to his old homeland from America to see independence restored -- Lithuanian flag raised again and people singing the national anthem in the streets -- and then with his German wife as the Berlin Wall was torn down. Told at times through memories passed down from one to another, at other times through flashback scenes, the span of years between generations feels weighty, but the love that connects them reuintes a family torn apart by war. Great for fans of Alice Hoffman. Historical fiction mixed with fantastical elements, along with lots of heightened emotions. Young-Stone's men are sensitive and sympathetic (for the most part), and I love to swoon over genuinely good men. The women are interesting and strong - especially Daina. Daina and Stasys's storyline was my favorite, although there's one big revelation that never comes (which was a little bit of a letdown but I see where it might've been tough to fit it in). The only thing Great for fans of Alice Hoffman. Historical fiction mixed with fantastical elements, along with lots of heightened emotions. Young-Stone's men are sensitive and sympathetic (for the most part), and I love to swoon over genuinely good men. The women are interesting and strong - especially Daina. Daina and Stasys's storyline was my favorite, although there's one big revelation that never comes (which was a little bit of a letdown but I see where it might've been tough to fit it in). The author, Michele Young-Stone, has another winner with this book. Like her first book, The Handbook for Lightning Strike Survivors, the main characters are flawed but appealing. Prudence Vilkas was born with wings just like her long lost great aunt Daina. Prudence's parents split up when she was 5 and she did not meet her fathers' parents until she was 16. However once she met with the grandparents, Old Man and Oma, she was exposed to the sad history of Lithuania and the fiercely patriotic people who yearned to return to their motherland, now a part of Russia. The Old Man had struggled to survive first the Nazi invasion of Lithuania and then the Soviet invasion. He had met a German girl, Ingeburg, and together they were able to immigrate the US. They settled in Brooklyn and raised their son, Freddie, a musician. While Freddie was living in Nashville, he met his wife Veronica and she gave birth to Prudence. Prudence was born with wings but they were surgically removed shortly after birth. After Veronica left Freddie and took Prudence with her, the two of them ended up in a run down town in Florida. There Prudence met and befriended Wheaton, a high functioning autistic boy who was her only friend. The two remained close until the both went to college and Sheldon disappeared. As the story continues, there are several reunions between long lost friends and relatives and the family return to the Lithuanian homeland. This book gives us a picture of the Lithuanian people who have suffered the loss of their homeland but still have a strong emotional connection to it. MICHELE YOUNG-STONE is the author of LOST IN THE BEEHIVE, an O Magazine pick, ABOVE US ONLY SKY, and THE HANDBOOK FOR LIGHTNING STRIKE SURVIVORS. She is currently at work on a fourth novel. In addition to being a writer, Michele is a mom, wife, animal lover, Zumba and Hip-Hop addict, crafter, Pinterest junkie, and bird watcher. Learn MICHELE YOUNG-STONE is the author of LOST IN THE BEEHIVE, an O Magazine pick, ABOVE US ONLY SKY, and THE HANDBOOK FOR LIGHTNING STRIKE SURVIVORS. She is currently at work on a fourth novel.